This page contains web site links to educational programs that support rescue and rehabilitation of marine life, as well as articles and publications by Tony Amos and other members of ARK. Please send information or suggestions on any other sites to friends@friendsoftheark.org. We welcome your suggestions! 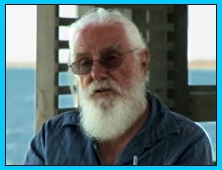 "Leaving the ARK" directed by Minor Wilson is a Capture Now and DeLoachfilms presentation about Tony Amos and the Animal Rehabilitation Keep (ARK) that he founded in Port Aransas. It is a feature length film that is currently in principle photography and scheduled for release in February 2010. Click here to view a 6 minute clip of the film: View the film clip. Although "Leaving the ARK" primarily centers around the ARK, the film also captures Tony's life journey from the London Blitz during WWII, through his scientific voyages to Antarctica, to his 32 years in Port Aransas. The film is the TFPF 2009 RECIPIENT, awarded by the Austin Film Society....More background info about the film. Coastal Bend Audubon Society - for birding locations, etc.